In the previous study (Hiremath, Astron. 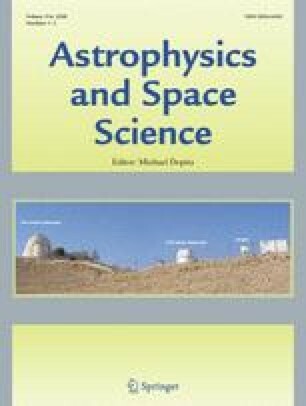 Astrophys. 452:591, 2006a), the solar cycle is modeled as a forced and damped harmonic oscillator and from all the 22 cycles (1755–1996), long-term amplitudes, frequencies, phases and decay factor are obtained. Using these physical parameters of the previous 22 solar cycles and by an autoregressive model, we predict the amplitude and period of the present cycle 23 and future fifteen solar cycles. The period of present solar cycle 23 is estimated to be 11.73 years and it is expected that onset of next sunspot activity cycle 24 might starts during the period 2008.57±0.17 (i.e., around May–September 2008). The predicted period and amplitude of the present cycle 23 are almost similar to the period and amplitude of the observed cycle. With these encouraging results, we also predict the profiles of future 15 solar cycles. Important predictions are: (i) the period and amplitude of the cycle 24 are 9.34 years and 110 (±11), (ii) the period and amplitude of the cycle 25 are 12.49 years and 110 (±11), (iii) during the cycles 26 (2030–2042 AD), 27 (2042–2054 AD), 34 (2118–2127 AD), 37 (2152–2163 AD) and 38 (2163–2176 AD), the sun might experience a very high sunspot activity, (iv) the sun might also experience a very low (around 60) sunspot activity during cycle 31 (2089–2100 AD) and, (v) length of the solar cycles vary from 8.65 years for the cycle 33 to maximum of 13.07 years for the cycle 35.